Exterior Enjoy amazing sunsets from the pool area. Interior Villa Tranquila at golden hour. 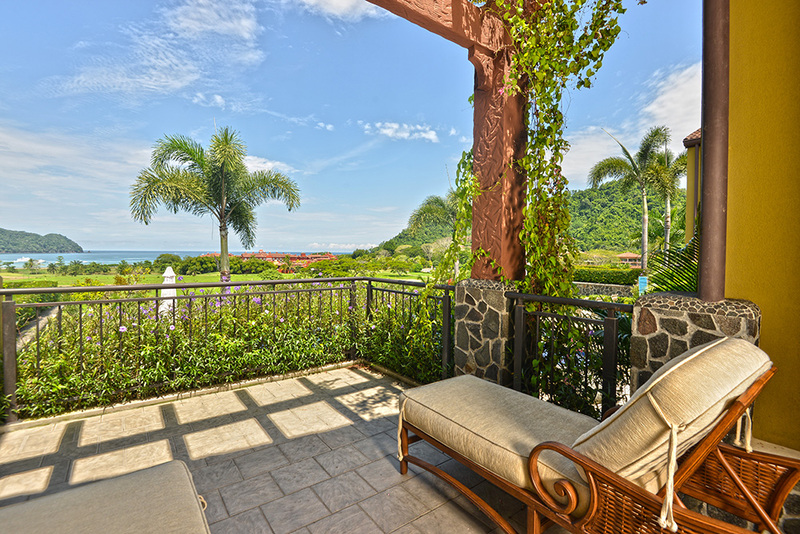 Enjoy the privacy and luxury los sueños has to offer. Interior Pool area at Vila Tranquila overlooking the resort. Interior Large garden with great view. Interior Terrace. Interior Interior Pool area with view of Los Sueños resort. Interior Pool area overlooking the resort. Interior Entrance hall to Villa Tranquila Interior Entrance to living room area with beautiful artwork on the walls. Interior Comfortable living room area with ocean view. Interior Open living room area. 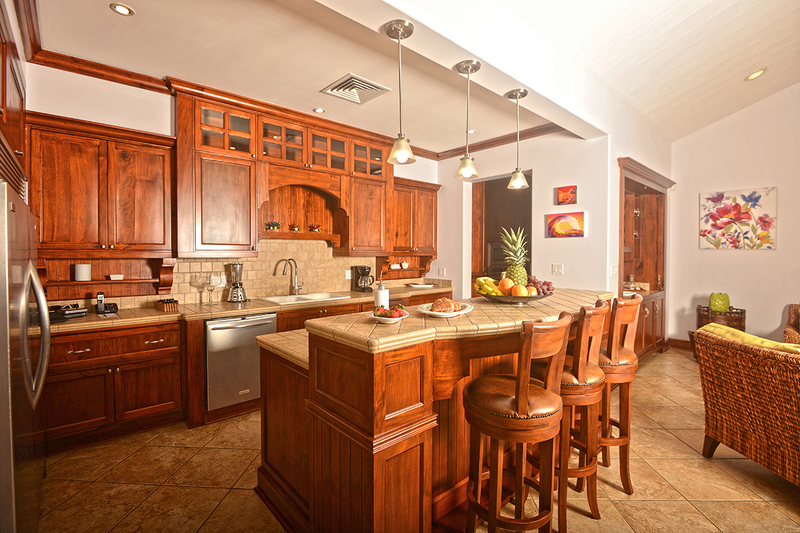 Interior Fully equipped gourmet kitchen. We can set you up with a private chef. 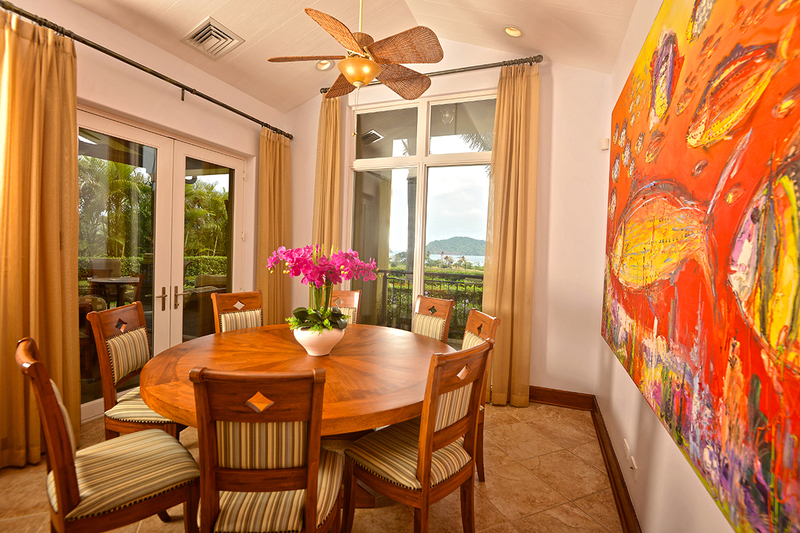 Interior Dining area with ocean view. Interior Lounge area with access to terrace. Interior Master bedroom with terrace and ocean view. Interior Master bedroom with office space. Interior Master bathroom with jacuzzi Interior Master bathroom Interior Second bedroom Interior Third Bedroom Interior Guesthouse bedroom with private bathroom. Villa Tranquila’s open-plan communal living space opens to a spacious covered terrace that leads to private gardens and pool. 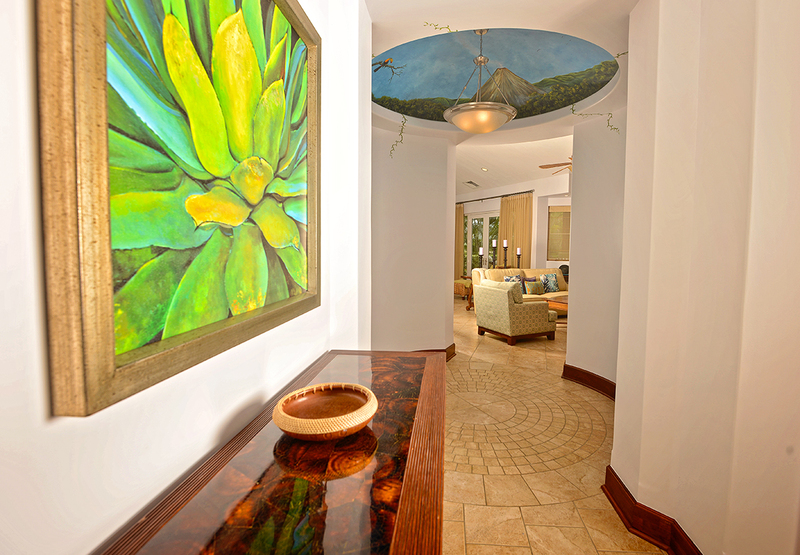 Creamy white interiors and terra cotta-hued ceramic flooring throughout emphasize the tropical design and furnishings of this 3-bed, 3.5-bath home; a separate guesthouse provides an additional en suite bedroom. The master suite and one guest room have separate balconies for more privacy while enjoying the sunsets over the Pacific. The master bathroom features a large Jacuzzi and walk-in shower, complete with ocean views. Thanks for taking the time to leave us a review. It was great to host you and we are glad to hear that you had a great time staying with us and that you were satisfied with our service. Hi, We are sorry that the checkin was not as expected, and we will take that into consideration. We are glad to hear that the rest of your stay where great though. All the best, HRG´s team. Hi Kaye, Thank you for taking the time to leave us a review. We are grateful to hear that you had a great experience. We would love to host you again in the future. All the best, HRG´s team.